Keith was the youngest of six siblings born to John Henry and Louisa Elizabeth, nee Blundell. John was born in Ryde in 1855 and Louisa in Poole in 1853. They were both much-travelled because they married in Norwood, Surrey, on 9th January 1876. The family were living in Southampton at the 1881 census and they lived at various addresses before settling at 77 Westridge Road, Portswood at the 1911 census. Beatrice Louisa Ray b.1878 and d.1939 Leatherhead. Married Milton Victor Ely in Southampton in 1900. Mabel Elizabeth b.1880 and d.1976 New Forest. Married Walter Ernest King in Southampton in 1908. John Henry Falconer b.1881 and d.1881 Southampton. Nellie Isabel b.1882 and d.1927 Croydon. Eric John b.1895 and d.1975 Eastbourne. Married Dorothy M. Clark in Southampton in 1925. Keith was educated at Taunton’s College on a scholarship, from 1909 to 1914. The 97th Squadron was formed in Lincolnshire on 1 December 1917, as a training unit. Keith gained his flying certificate on 21st July 1917, and was placed on reserve. 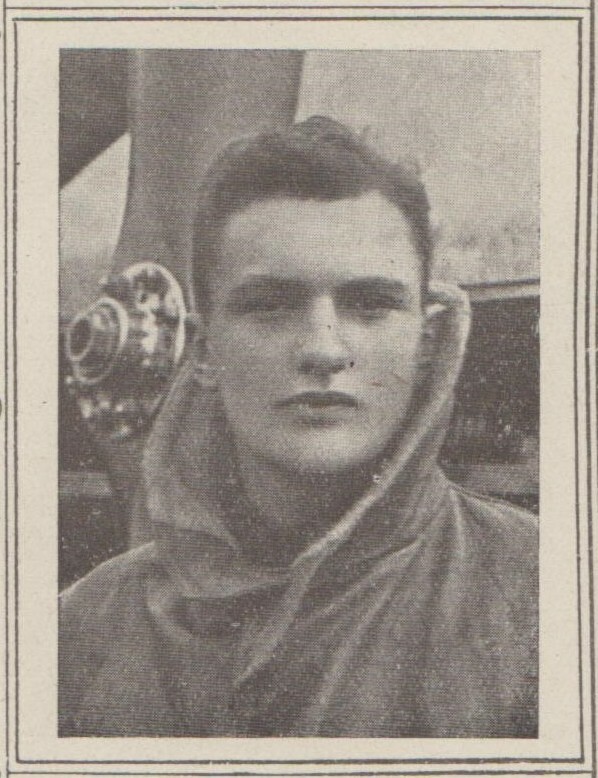 When receiving his call-up papers he may have joined the squadron in Lincolnshire, or in March 1918 when it moved to Netheravon. It was here that the squadron received Handley Page 0/400 heavy bombers. These were taken to France in August 1918, where the squadron joined the Independent Air Force. Keith was involved in various bombing missions straight away, most notably on Strasbourg. He unfortunately lost his life as the result of an accident, rather than on an operation, 2 weeks before the end of the war. The stays on one of the 0/400 bombers broke as Keith flew over France and it plummeted to the ground near Essegney. Keith was buried in Charmes Military Cemetery, Essegney, France (Plot1, Row D, Grave 7). This cemetery was used by two stationary hospitals during the war, which suggests that Keith may have initially survived the accident. After the Armistice other graves were transferred to Charmes from other sites and the cemetery now contains 202 Commonwealth burials from WW1. As a former pupil of Taunton’s his parents took the unusual step of donating money to the college, to be spent on purchasing books for the library. A section of the library was given over to the books purchased and a plaque erected commemorating Keith. It is not known what happened to the plaque when the school moved to its present site on Hill Lane in the 1980’s. Education & Employment: Keith was born on 4th November 1898 in Southampton. He had a Chipperfield Scholarship to Taunton’s. Keith gained a certificate in the University of London Junior School Examination with Distinction in Arithmetic and Oral French. Life during the War: Keith gained his flying certificate on 21st July 1917. He was ranked 2nd Lieutenant in the Royal Air Force and flew with the 97th Squadron while on active service in France. He had been involved in the bombing raids on Strasbourg and was a reliable pilot. He was trusted with the testing of new machines and was flying a Handley Page 0/400 C9691 when he was killed in an accident, a result of the stays of the aeroplane having broken. He is bured at the Charmes Military Cemetery in Essegney. Keith died on 28th October 1918 aged 19 years.